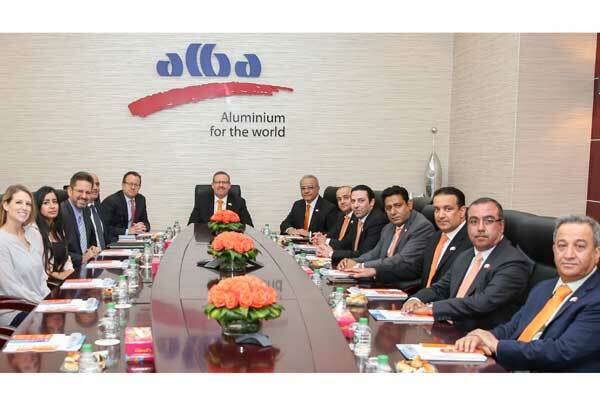 Aluminium Bahrain (Alba), the Bahrain-based aluminium smelter, today (October 22) welcomed Justin Siberell, US Ambassador to Bahrain, as part of the company’s endeavours to strengthen commercial ties with US. During the visit, Siberell and the delegation were briefed on the fast-paced progress of Alba’s Line 6 Expansion Project which will achieve the first hot metal on January 1, 2019. “We are pleased to welcome Siberell the US Ambassador and we look forward to strengthening the strong partnership between Bahrain and US as well as boosting business trade between the two countries,” he added.